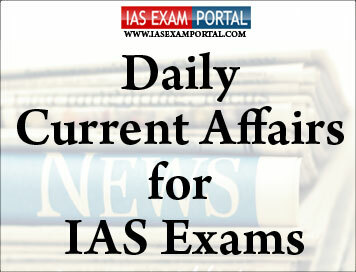 Current Affairs for IAS Exams - 04 February 2019 | IAS EXAM PORTAL - India's Largest Community for UPSC Exam Aspirants. In his interim Budget speech on Friday, Finance Minister Piyush Goyal announced the Pradhan Mantri Kisan Samman Nidhi (PM-KISAN) Scheme, under which Rs. 6,000 per year would be provided to farmers holding cultivable land of up to two hectares. The PM-KISAN scheme has been approved by the Cabinet and therefore the administrative department can go ahead with it, Mr. Garg said. He said 12 crore beneficiaries have been identified with the help of Agriculture Census Data 2015-16. Apart from direct income support to farmers, Mr. Goyal had also announced extended interest subsidy on loans availed for animal husbandry and fishery as well as to those farmers affected by severe natural calamities. The CBI has been investigating the Saradha scam after the Supreme Court transferred the case to it in the Subrata Chattoraj versus Union of India judgment on May 9, 2014. The Supreme Court clarifies the position of law in Kazi Lhendup Dorji vs CBI , a reported decision of 1994.The court reasoned that the State government’s withdrawal should not be allowed to stall a pending case. The withdrawal of general consent means CBI officers lose police powers under the Criminal Procedure Code in the State concerned and for registering a case. “The case should be allowed to reach its logical conclusion notwithstanding the withdrawal of consent during pendency of investigation,” the court had held in the Dorji case. Now, with precaution, we understand how to go ahead. The process is very important for strategic disinvestment and that is going to be our endeavour [to simplify it],” DIPAM Secretary Atanu Chakraborty said. Recently, NITI Aayog submitted to the DIPAM the fifth list of CPSEs, profitable and non-profitable, which can go in for a strategic sale. Once among the go-to smartphone brands for Indian consumers, home-grown mobile phonemakers such as Micromax, Lava, Karbonn and Intex are now struggling to make a mark. These brands have been unable to challenge the flurry of quality products at affordable prices from China-based smartphone manufacturers over the past few years. Indian brands, which together commanded almost 50% of the total smartphone market towards the end of 2014, now account for less than 9% of the market. Chinese brands, on the other hand, have been able to corner nearly 60% of the smartphone market at the end of fourth quarter of 2018, according Counterpoint Research. With the new FDI rules in e-commerce, “not much of discounting will happen that is the mandate from the government, so that there is not much disparity in offline vs online. That is what we foresee right now.” The new rules may also spur more online-heavy players such as Realme and Honor to expand offline, said an expert. Despite being the second largest smartphone market in the world after China with more than 430 million users, India is under-penetrated compared to many other markets. Smartphone users account for just 45% of the potential total addressable market in the country. Mr. Ghani has appealed to the insurgents to talk after being frozen out of six days of discussions between the Taliban and the U.S. in Doha last month that sealed the outlines of a peace deal. Among those who have confirmed their attendance in Moscow is Haneef Atmar, who is running against Mr. Ghani in the elections. Former warlord Atta Muhammad Noor and former Afghan president Hamid Karzai both Ghani rivals are also attending. In 2013, while still a Ph.D student at the University of Valencia in Spain, Ms. Malinkiewicz figured out a way to coat flexible foil with perovskites using an evaporation method.